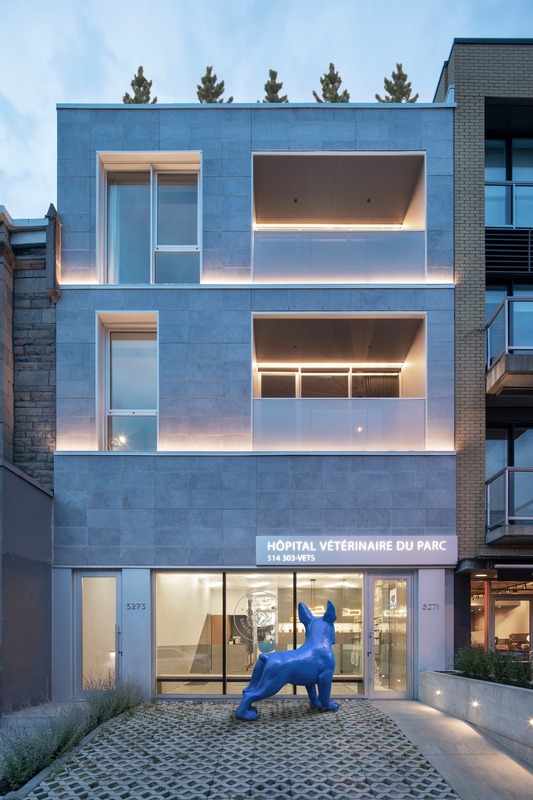 A mixed-use renovation and extension, Hôpital Vétérinaire du Parc squeezes a state-of-the-art veterinarian hospital, SPCA emergency clinic, and four residential units in and on top of a small abandoned photo studio. 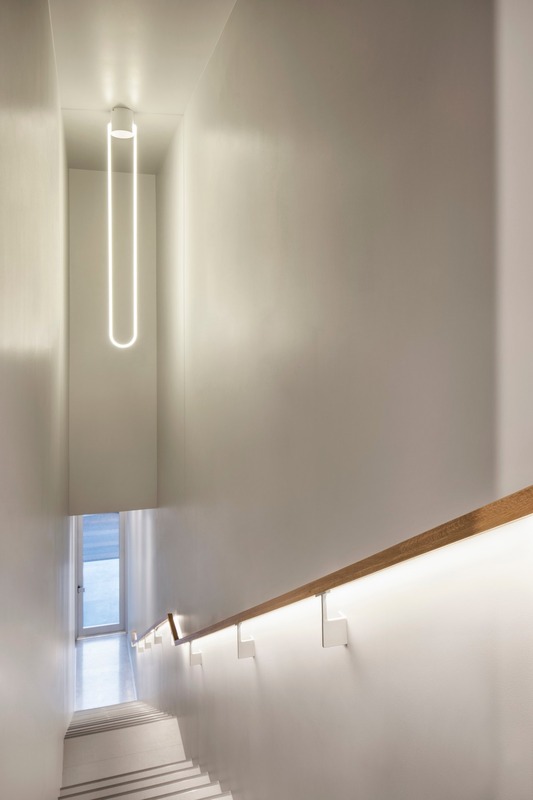 Designed by Thomas Balaban Architecte (T B A), the project aims to redefine the veterinary experience for the Mile End neighbourhood, the dilapidated storefront space and dark basement are brought to life with a calming minimal palette juxtaposed against existing raw surfaces and generous glazed partitions. 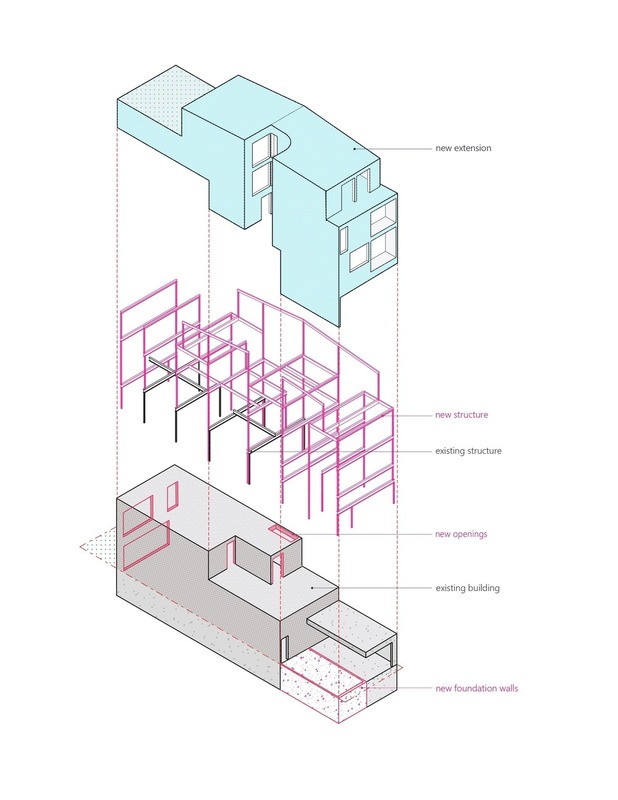 Utilitarian materials work within the neighbourhood’s aesthetic and the specific needs of a veterinary clinic. 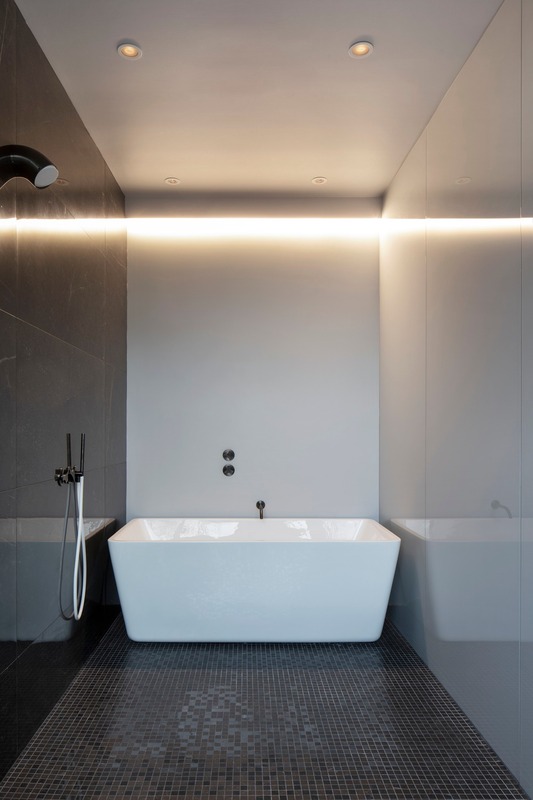 Stone foundations, concrete wainscoting and ceramic tiling protect the lower part of the walls required to be resistant to animal wear and tear, whereas milky polycarbonate ceiling panels hide a complex mechanical system revealing only modest graphic lighting. Integral to the design is a central courtyard that funnels natural light into the centre of the structure and provides efficient access and ventilation for all of the residential units. The upper units occupy two floors. 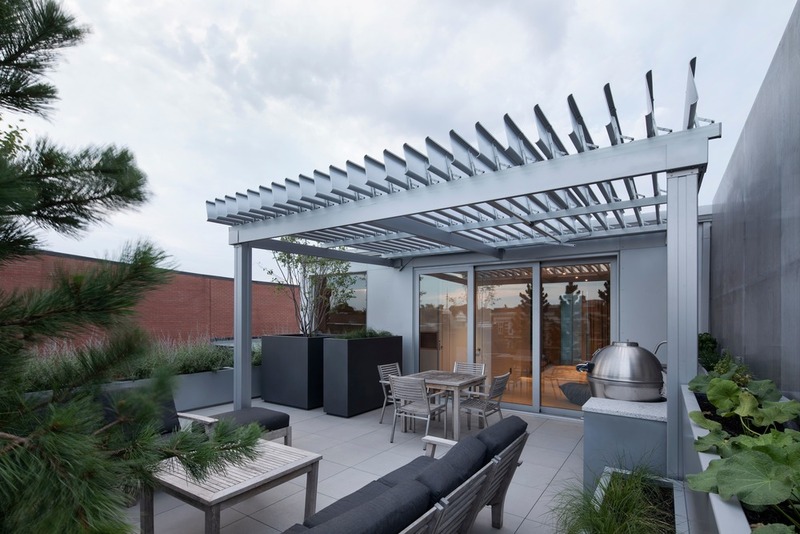 The front unit, belonging to the veterinarian, gives onto a large hidden rooftop terrace overlooking Montreal’s Mount Royal. 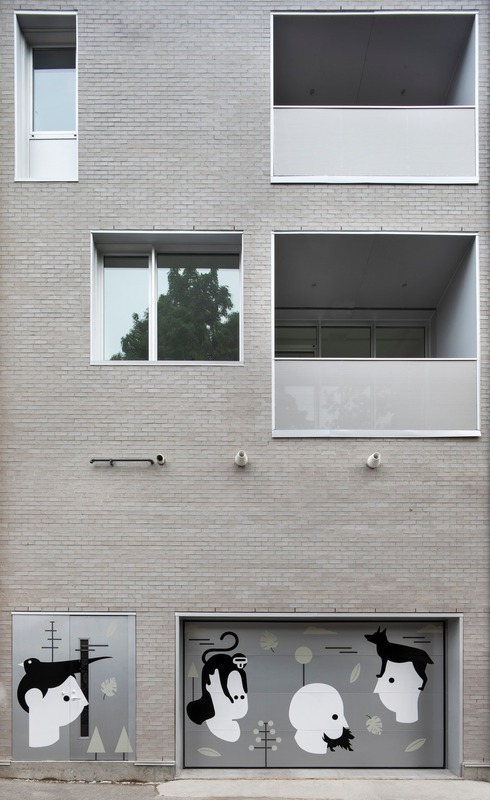 On the exterior, the building is restrained and monochromatic. The façade is clad in a single material, a grid of local limestone quarried 50 km away. A tripartite stacking plays on the city’s layered façades, delineating the residential units through tiered setbacks over a generous glass storefront. 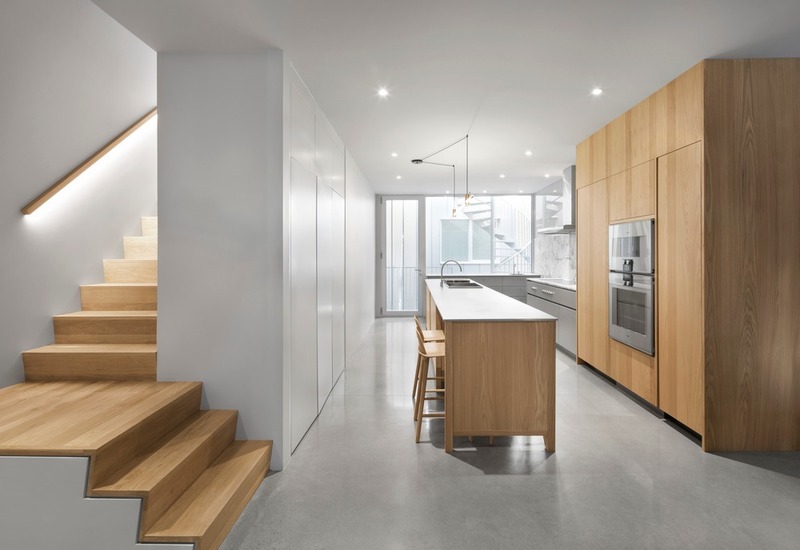 Subtle aluminum details surround windows and doors, and finely perforated guardrails fade into the monochromatic background. Fully glazed balconies are punched into the façade giving tenants added privacy while streamlining the building’s form.